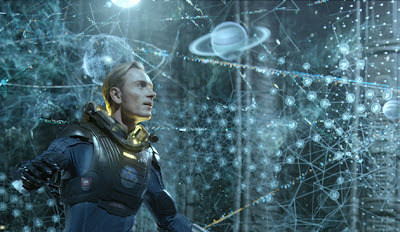 Our Exclusive Prometheus Video Review is now available on Youtube! To broker the most common concern surrounding Prometheus, it is clear from the first few moments of the film that this is very consciously and deliberately a different entity from the Alien franchise with which it shares both its universe and director. Whereas Ridley Scott’s 1979 seminal sci-fi masterpiece opened with the isolation, silence and cold of space, Prometheus begins with stunning sweeping vistas and panoramas, the sterility of the stars now replaced with roaring waterfalls and aggressive natural majesty. This juxtaposition is in many ways perfectly symbolic of how very different the two films really are, for where Alien was a masterclass of subtlety, prolonged silence and measured cutting, Scott’s latest outing is a far more visceral, bombastic, and even noisy, affair. The film sees a pair of scientists (Noomi Rapace and Logan Marshall-Green) and a run-of-the-mill sci-fi crew 101 head off in the titular spaceship in the hopes of discovering the origins of mankind thanks to a series of hieroglyphs, carvings and visual links that have been uncovered from varying civilizations throughout history. It’s a relatively simple yet effective premise, even if some of Lost co-creator (and this film’s co-writer) Damon Lindelof’s trademark ‘faith versus science’ dogma is somewhat awkwardly forced in throughout. 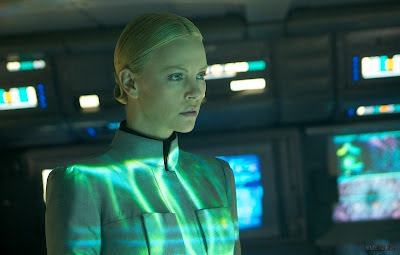 Amongst the merry band of space-farers is Charlize Theron as a high-strung corporate official representing the financiers of the expedition (a company Alien aficionados will be instantly familiar with), Idris Elba as the ship’s atypical everyman captain figure with shades of Sgt. Apone (sans-discipline) and even an appearance from Guy Pearce as the company CEO himself, albeit hidden deep underneath too many layers of somewhat jarring ‘old-man’ prosthetics to really register and convince. We are told at the outset that the crew of the ship totals 17, though unfortunately the vast majority of these are severely under-developed and serve very little purpose other than to become the inevitable victims to both the imbalanced script and the various nasties that await. For whilst the films opening half hour does a great job of setting the scene, introducing us to the cast and slowly generating a sense of wonderment and awe, once the ship sets down at it’s destination the shortcomings and missteps very rapidly become compounded. The narrative and characters bounce back and forth between the planet itself and the ship with little focus or direction, an abundance of plot elements or obstacles are introduced and given little or no explanation or development, and before long there is so much being shown or introduced that the whole scenario begins to lose any sense of context. Sir Ridley and his team may have not been trying to replicate Alien here, but all involved would have certainly benefited from borrowing some of its focus and clarity, not to mention restraint. The central crisis here seems to constantly shift and bandy around a multitude of elements: is there a lethal contagion that must be contained? 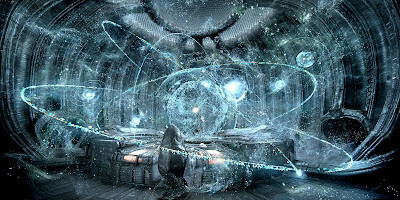 Or an Alien-esque creature with a progress evolutionary cycle (prepare to meet 2012’s answer to the facehugger)? Is there a secret agenda at work amongst the crew? Is that a presumed-dead crew member now causing mayhem down in the cargo hold (how, and why)? 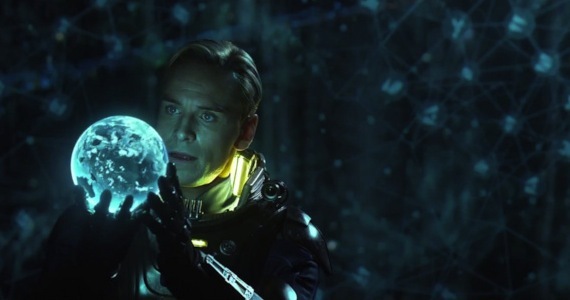 Prometheus applies a flurry of ideas, shocks and narrative strands with such pace and ferocity that as an audience we begin to lose sight of where we are and where this is all headed. This is only further exacerbated by a plot complication quite literally stumbled upon near the final reel that is so immediately accepted and seemingly inconsequential that it may as well have been introduced from the beginning, and the belated inclusion of yet another threat to the safety of the team at such a late stage that the film has seemingly devolved into a series of detached set pieces and creature encounters as opposed to any tangible dramatic arc or through-line. The chief detriment amongst all of this is the fact that, generally speaking, there is little connection or investment with the characters going on this admittedly quite spectacular journey. The majority of the crew have very little in the way of screentime or presence and serve no purpose other than to meet their ends where the messy script dictates. There are deaths a-plenty, and Scott certainly goes to town with some suitably inventive and showy ways of thinning out the numbers, but with no real connection or emotional investment even the more elaborate demises devolve to little more than extra noise and spectacle. It is also here that the notable lack of an established central antagonistic force or problem only highlights the erraticism and inconsistency of the story being told - one minute a character may be killed by one new plot element right before another is taken out by something completely different and unexpected. There are some effective creature sequences, a particular highlight being an emergency surgery procedure to remove an unwanted invader from inside one of the crew (sound familiar?) but as much of an impact as moments like this make, they are isolated and forgotten as quickly as they are introduced. When the narrative shifts focus and the threats are so ephemeral and unpredictable we are in territory where tension and drama are lost in favour of spectacle and shock factor. Prometheus should be given credit for trying to be a decidedly more ambitious and broader outing than it’s predecessor, but in trying to do, show and tell so much it flounders and buckles under the anticipation of what could (and indeed should) have been a far more tense, coherent and thrilling piece of cinema. Fortunately, for all of its flaws, there are some definite highlights - Noomi Rapace lends a steely grit to central protagonist Elizabeth Shaw and does a commendable job of endearing us to a very meagre and underdeveloped central character, though anyone expecting the second coming of Ripley should prepare to be disappointed. But it is no real surprise to report that Michael Fassbender, one of the most reliable and versatile actors working today, puts in an expertly-judged turn as android David and both the character and Fassbender’s performance are the most lasting and successful elements of the entire movie. Nuanced, deliciously ambiguous and treading an uncanny balance between artificiality and something decidedly human yet detached, it is unfortunate in many ways that such a great character and performance is bogged down amongst all of the films excesses and narrative wobbles, and falls prey to the somewhat schizophrenic writing. Relatively early on a key decision is made by the character with extreme consequences, yet as with much of the film the fallout and trajectory of that particular plot point is generally forgotten in favour of the next complication, and regretfully never truly revisited. Another saving grace for the film though is its remarkable aesthetic style and visual achievement. It is no exaggeration to say Prometheus is one of the most stunning and gorgeous Science Fiction films ever put on-screen. Ridley Scott and his team are masters at perfecting a convincing, faultless vision on screen - even his less successful films such as Kingdom of Heaven were similarly masterful in creating a complete, unified look of authenticity. Some superb cinematography, inspired art direction and design (including some work courtesy of original xenomorph designer H.R. Geiger) and generally excellent special effects all culminate harmoniously and seamlessly in a true opulent cinematic treat, from the clean-cut ship itself to the ominous and expansive architecture of the planets crypts. If the script and story and trying their best to muddle and remove us, at least what we are seeing is convincing and keeping us engaged. This is also a film made for both big-screen and 3D viewing, and the scope of the vision and impact of the resplendent visuals is at times astonishing when viewed in IMAX 3D. 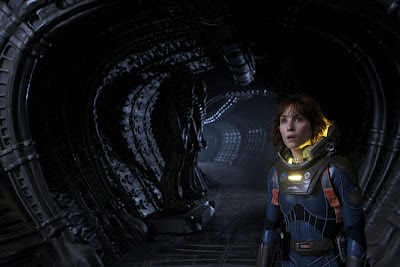 Rarely, if ever, do I abjectly recommend opting for an IMAX or 3D viewing over standard to the extent of believing it significantly enhances the core film experience, but with Prometheus it seems a terrible waste to not be able to witness the grandeur and wonderment of some of the brilliant, beautiful visual film-making at work. 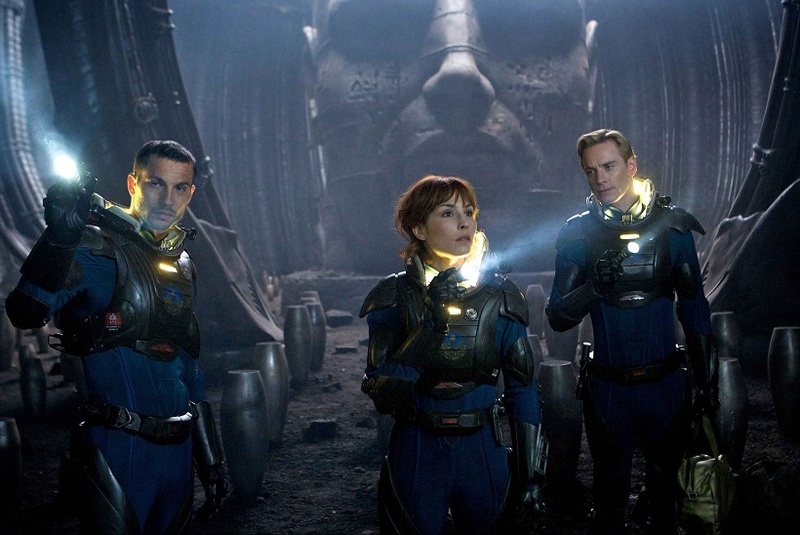 In all, Prometheus is something of a difficult film to assess and pass judgement on. At it’s core it is an overly-busy, unsubtle and wavering jumble of ideas that are executed well but do not form a satisfying and coherent whole. It is beautifully shot and extraordinarily well crafted, yet for all of its splendour it feels strangely empty. There are moments of visual fancy and creative horror yet they lack any real gravity or lasting impact. It is more ambitious and reaches for a broader pathos than most sci-fi and yet loses focus as a result. It is clearly trying to be a very different beast and step out from the shadow of the Alien franchise and yet it’s knowing references and frequent fan service (including a shoehorned ‘you’re-not-safe-yet’ denouement which is unforgivably perfunctory in its execution and resolution) constantly draw unfavourable comparisons to that much more accomplished and effective piece of cinema. To call it an intriguing and beautiful mess is perhaps a little harsh, so instead it seems more fitting to harken back to it’s main success - David - for like him, Prometheus is a difficult to gauge, convincing yet somewhat soulless and detached feat of technical brilliance. Press Screening access for Prometheus provided by 20th Century Fox courtesy of Substance001 PR. (A)musings Media gratefully acknowledges their generous assistance and invitiation. For all our exclusive reviews and content be sure to follow us on our Brand New Twitter Page (Click Here) and Like Us On Facebook (can be found clicking here)! brilliant,thanks for another great review!